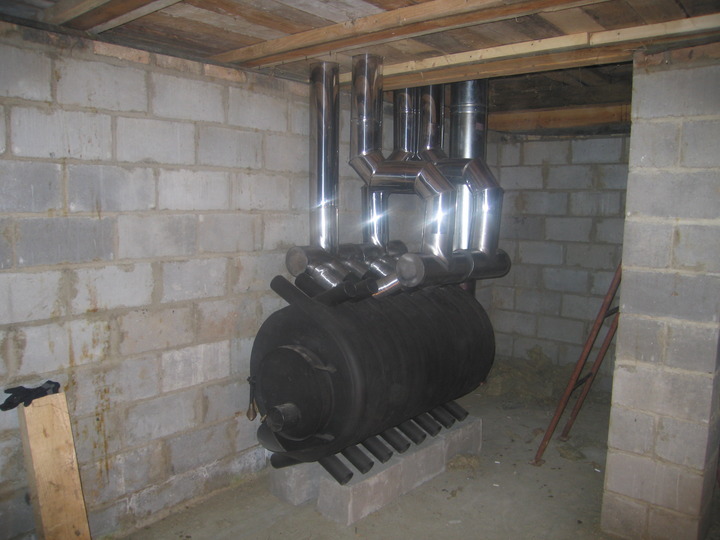 Home page > News > Self-contained heating of the garage made by yourself. Self-contained heating of the garage made by yourself. Self-contained heating of the garage with the use of electricity by yourself. Global automakers are each year improving their models, including the work on freeze-thaw resistance and the safety of driving in difficult weather conditions. However, the troubles with nearly frozen lubricant and problem engine starting are still plaguing car owners during sudden temperature drops in winter. If the car still stands little frosts, in order to simply start the engine in the morning after a -20°C cold night, it is imperative to equip the garage with a heating system to maintain a safe temperature. It's impossible to connect to the heating system of the block of flats since the garage may be located at a distance of more than 20 meters from the building, and in this case, it is impractical and expensive to lay a branch line from the central heating system. That's why the only real possibility to create the required temperature conditions for the car - is to install a self-contained heating system in the garage. At first glance, it may seem a default option to install the water heating system, as it is quite popular per se for both household heating and heating of industrial premises. However, such a heating of the garage is very rare. Despite its reliability and durability, water heating is rather complicated in arrangement and doesn't pay off quickly since the system implies the purchase and installation of a boiler and radiators for heat output. Self-contained heating of the garage often relies on the systems running on one of the fuel types. For example, the use of gas - such a garage heating is notable for low fuel costs, but the system should not be set by yourself. It is best to consult the experts, as well as to obtain the necessary permits as gas heating of the garage should be as safe as possible because gas - is an explosive substance. Many are planning to install a garage heating system by themselves - in this case, it's wise to choose the simplest and safest system. So, the owners often arrange a heating system using the Bullerjan stove. It is an advanced stove that runs on solid fuel, which is indicative of its full self-sufficiency. However, the system requires a permanent withdrawal of carbon monoxide, which is released during the combustion of solid fuels, as well as periodic cleaning of the equipment from soot. We should also consider self-contained heating of the garage with the help of economic electric heating. The choice of goods is impressive for its huge variety - you can use both stationary and mobile heaters, to warm the air in the room or directly the surface. Also, the "warm floor" system is gaining popularity. Heating of the garage with the use of electricity has a number of unquestionable advantages, which are typical for all such systems - easy installation and connection, does not require any special knowledge, safety regarding explosive substances that can be stored in the garage, possibility to set a precise temperature and control the heat supply owing to integrated temperature sensors. 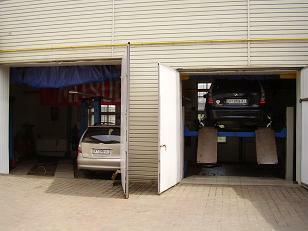 Heating of the garage with the use of electricity is possible by means of electric convectors. Each of such heaters has special tubular electric heating elements, which are the main source of heat. The cold air, which is mostly in the lower half of the room, enters the convector and gets heated - occurs a continuous ventilation process to maintain the desired temperature. Convectors are suitable for such small spaces like garages, but with poor insulation, the costs for heating of the garage will be disadvantageous and practically won't pay off the system. An interesting option is the "warm floor" in the garage. If you are willing to do repairs in the garage floor covering, it is possible to lay the tape with built-in electrical cables that will be emitting heat. The advantage of such a system is that the heat comes from the bottom up, which means that the car will get the most of it. Heating of the garage with the use of electricity is also possible with the help of innovative infrared heating technology. Ceiling infrared heaters are the best fit for the garage because they allow saving on heating even with the minimum insulation. Infrared heating can be installed in the garage in a few days, at that the heaters should be mounted in the places with the greatest heat loss. The features of infrared heating are as follows: IR equipment emits heat waves, which in the beginning of the heating cycle are absorbed by all the surfaces and objects in the garage - it provides direct heating of the vehicle body and internal components. When the air has been heated to a required temperature by means of the heat delivery from the objects, special sensors disable the system, but continue to monitor the temperature and start the heaters at a perceptive temperature drop. Such an electric heating of the garage is most economical because its efficiency is 98% of the absorbed energy. Having several infrared heaters installed, you can stop worrying about the safety of the heating system and completely rely on its self-regulation.